Excite your senses with a drive in the 2019 Buick Cascada. This luxury convertible is ready for your next journey with style and performance that can’t be beaten. Read on to see why you should hop behind the wheel of a 2019 Buick Cascada for sale in West Palm Beach. Experience a thrilling ride in the 2019 Buick Cascada. This convertible packs a 200-horsepower 1.6L Turbo 4-cylinder engine and 6-speed automatic transmission. Its HiPer Strut front suspension allows you to maneuver the curvy roads ahead with ease. Its StabiliTrak system helps you conquer, icy, wet, and uneven terrains. The cabin of the 2019 Buick Cascada ensures every ride is comfortable. On a warm summer day, it only takes 17 seconds to let the top down and transform the 2019 Buick Cascada into an open-air convertible. And when the weather cools down, just let the top back up and relax in available heated fronts seats with a heated, leather-wrapped steering wheel. The new Cascada offers built-in 4G-LTE Wi-Fi so that you’re always connected on the go. Easily navigate to your next location with the standard digital navigation system, which shows you turn-by-turn directions, so you know exactly where you’re supposed to go. And with the available myBuick app, you can access important information about your ride, turn the car on, and lock or unlock your doors from the app. Safety is key in the 2019 Buick Cascada. The available Forward Collision Alert system can detect when a potential crash in imminent and warn you so that you can stop the collision before it occurs. Heavy-duty steel pop-up bars are located behind the vehicle’s rear seats. In the instance that the car rolls over, the bars will deploy and extend to protect you from potential injury. And with available OnStar® services, you can always feel confident behind the wheel. 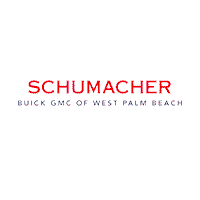 Test drive the 2019 Buick Cascada today at Schumacher Buick GMC of West Palm Beach. Visit our online inventory to learn more about other new Buick cars for sale in West Palm Beach.